Things have been BUSY here lately for all of us! We're back in the school routine and this year with the girls (Zoey, Gracie and Ruby) being in 4th grade it's been extra busy with a bit of extra homework to get used to and then this past week marked the start of dance classes beginning again as well. We are all slowly adjusting to our new schedules though and are carving a bit more time for the dolls as well. I will say, that with the first two weeks of the start of school I don't think we picked up even one doll here!! Hoping to make up for that now that we are back in the groove of things again. 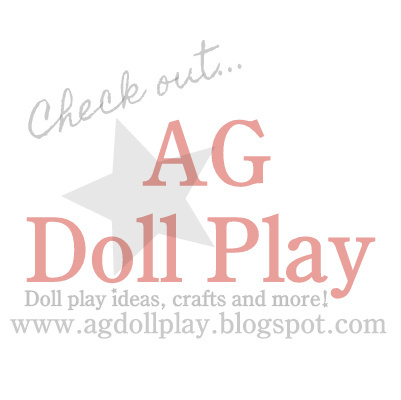 I wanted to share some cute fall fashions with you for dolls from DreamWorld Collections today since we are getting excited about the change of seasons here. Our trees are starting to change colors and some of the leaves are starting to fall already...so exciting! The dolls are excited too. I saw these outfits and just had to share. This fringed jacket, jeans and boot set is too adorable. I also think that this poncho set is sweet...love the headband. It also comes in this color. 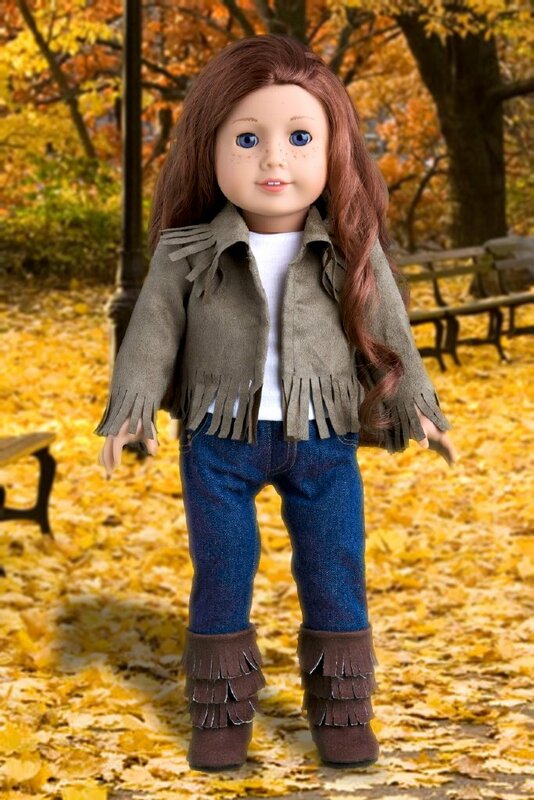 Are your dolls all set with their fall fashion wardrobe? Are the leaves changing in your area and is it starting to look like fall? I am so excited for the change in weather that fall brings along with it. Spiced cider, carving pumpkins, jumping in piles of leaves, cozy sweaters, love it all!! Perhaps a library, a craft room, sport or outdoor area? Those were what came to mind right away, let me think about it!